Postseason basketball has arrived. 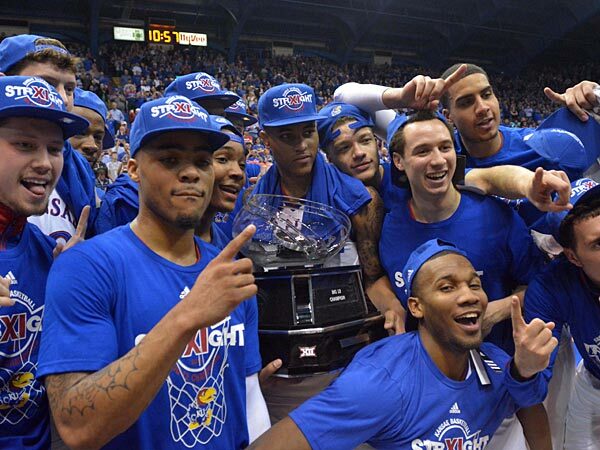 The Jayhawks had a big week starting with an incredible comeback win against West Virginia to clinch the outright Big 12 title and then followed it up with a great game and effort in Norman without Perry, Brannen, and Cliff. The guys get together to talk about all of those things plus an update on Cliff, preview of the Big 12 Tournament in KC, and a look ahead at the Big Dance. Come on in, grab a beer and let's talk some postseason basketball. Please take a minute to rate, comment, and subscribe on iTunes. It helps us to get the podcast out to more listeners every time you do.